Over 150 models joined us for a weekend of fashion, photo shoots, parties and fun November 13-15, 2015 for Take 10! presented by East Coast Starz and our Diamond Sponsor Outerstuff! Models were grouped into teams by age, each representing a different major fashion city destination around the globe. The girls took the “Starz Challenge” and had to come up with looks to walk the runway inspired by their fashion destination. In addition each team had an editorial shoot done by Candy Kid Photography and individual photos done by LeRed Photography and Nathan Blaney. These photos were scored and averaged for together with their runway scores to compose a final team score. The winners of the Starz Challenge for Take 10! were Team Lilongwe, Malawi in our morning show and Teams Berlin, Germany and Siberia, Russia in our afternoon shows. These girls worked together learning about their destination and modeling as a team to win the titles of the Ultimate Fashionistas! Taking home the infamous crowns and winning a day excursion in a pink Hummer limo for a day of styling, couture, photo shoots and adventures in Manhattan! Each team was sponsored by a fashion designer or store and put on a runway show for their sponsor down the glowing pink runway! These sponsors made these aspiring models, actresses and fashionistas dreams come true gifting their beautiful designs to them to take home! The pieces were gorgeous and fun! 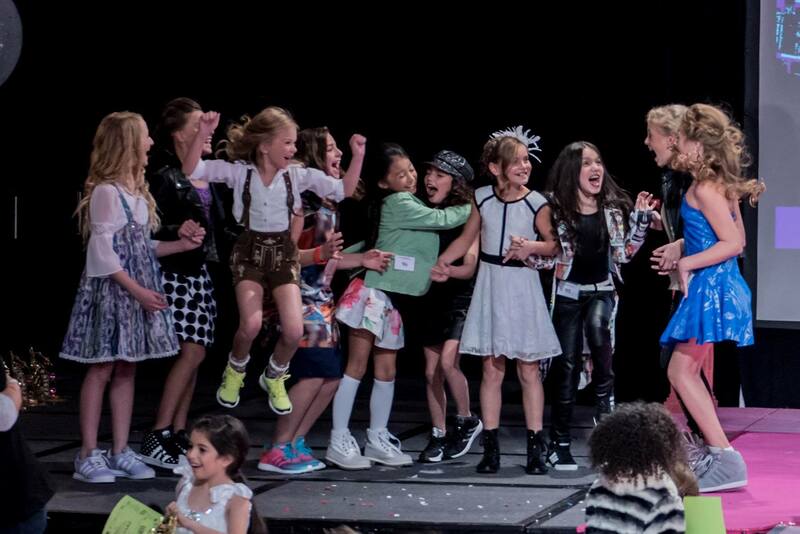 Featured runway shows took place for, Halabaloo, Dedo Kids, Isossy Children, Dolls and Divas Couture, Y’dsimo Outerstuff, Off 21 Showroom, Michelle Ann, Les Tout Petits, Fashion Camp NJ, L.O.L. Kids, ZOE, LTD., Five Loaves TwoFish, Les Tout Petits, Bound by the Crown, Butterflies and Zebras, LA to NY Couture, Little Green, Artistic Academy , Lipstik Girls, and Elissa B. Each registered model was given the opportunity for private meet and greets with NYC managers Shirley Grant and Connecticut Kids who were on location at the event. In addition all of the models photogenic photos have been submitted to Click Models, Product, and EMG for virtual scouting. Over 30 models were scouted at Take 10! so far. So many of our models have gone on to work professionally in print, television, and film. Designers, photographers and industry professionals know when they need children with big personalities and potential contact us! Shirley Grant client and star of Nickelodeon’s Sam and Cat, Cameron Ocasio was our VIP guest at our WISHES SOIREE! 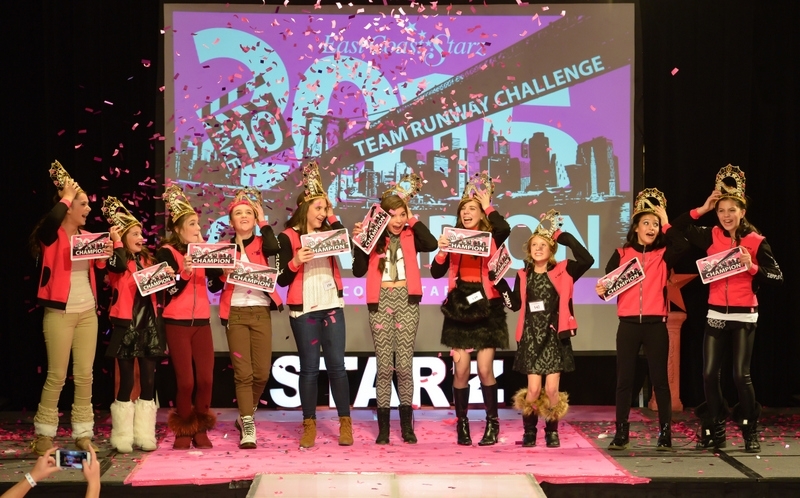 We granted wishes for ten of our lucky Starz Models! A new Doll House from Premier Solar Solutions, Annie the Musical Show Tickets, Les Tout Petit Fringe Dresses with an American Girl Doll, A New Bed, Fashion Academy Tickets, Party at CirKiz “A Cool Kids Dance Party”, Cover Model Photo Shoot with LaBelle Kidz Magazine, Tuition Paid to Camp Star Gazer, to Perform a Dance for the opening of Take 10! Awards and finally a “Pageant Experience” with East Coast USA. 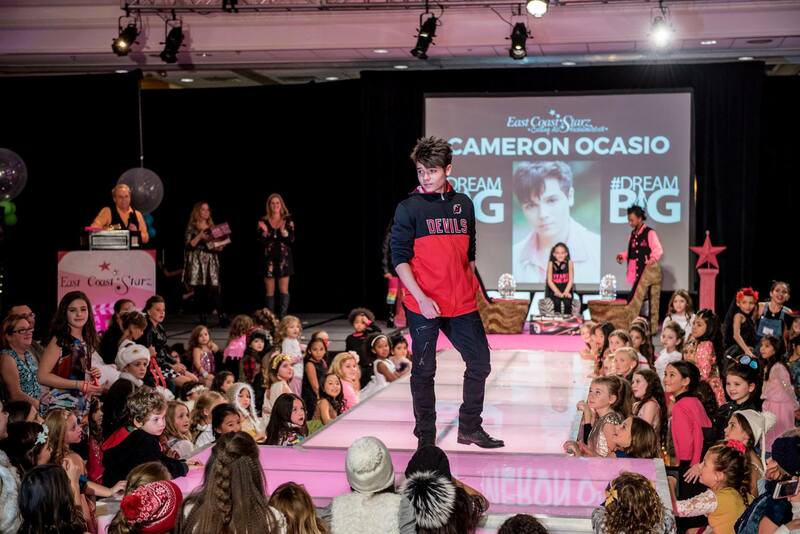 Our models danced the night away with Cameron and had a private meet and greet with the star. The models enjoyed a braid bar by Little Green, photo booth by Speechless Imaging, singing princesses including Cinderella and her Fairy God Mother and giant “WISHES” candy bar! One of the best parts of the weekend is seeing the new friendships formed at the parties. It is a night they will never forget! Sunday brought a new day of competition and the models were ready to take the runway! Each team put in so much effort into learning about their destinations and perfecting their sponsor showcase strut! The competition was fierce! Models were able to compete in the Pose Off competition sponsored by Bound by the Crown and the winners took home a pair of custom angel wings and took part in an angel themed snow photo shoot! One of the fiercest competitions ever seen on the glowing pink runway was the Captains Face Off! The captain from each team put on their best Outerstuff gear and went head to head in a runway showdown! It was epic! Captain, Cassidy McHenry came out on top and she will be joining us in the pink hummer limo! The awards ceremony kicked off with an awesome opening number, and Nickelodeon Star Cameron Ocasio crowned our raffle winners where we gave away giant shoe chairs, hoover boards and more! You could feel the energy from the audience when it came time to call the winning teams! The friendships, and experience these models take home with them are priceless and winning the pink hummer limo trip is just the icing on the cake! It goes without saying, Take 10! was a weekend that these models will never forget! Registration for Take 11! begins “PINK FRIDAY” November 27th. November 20, 2015 | Comments Off on Take 10!